Record organic sales in the United States totaled nearly $50 billion in 2017 according to the Organic Trade Association. 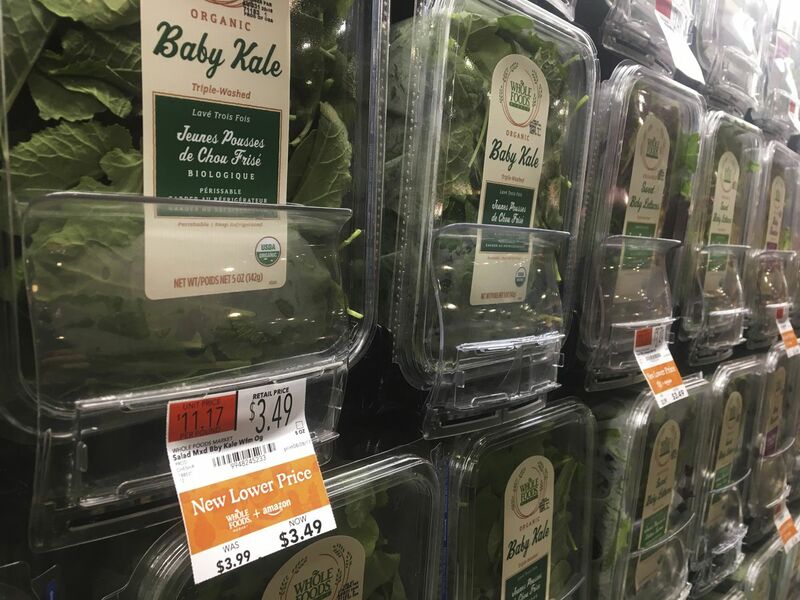 Although organic food still represents only 5.5 percent of food sold, its year-over-year growth has been meteoric - taking a cue from conventional agriculture's mantra: "Get big or get out." This has resulted in organic growers and food companies that, although technically adhering to the definition of organic - no chemically formulated fertilizers, growth stimulants, antibiotics or pesticides - are a far cry from the idealism and high standards with which the movement began. Now the Cornucopia Institute, a farm policy research group best known as an organic industry watchdog, is trying to promote higher standards among the accredited certifying agents hired by organic farmers, processors and handlers to ensure that their practices comply with regulations established when Congress passed the Organic Foods Production Act of 1990. Organic farmers' original intent was to create a level playing field in the market and to provide consumers assurance about a minimum uniform standard for organic production. In a scorecard released last week, the Cornucopia Institute ranked all 45 domestic certifiers on their adherence to the spirit and letter of the organic law. The institute found significant variation in how certifiers interpret regulations, variation that frequently benefits huge corporate farms and competitively disadvantages those comporting themselves ethically. Certifiers are paid by the farms and food businesses they certify, which can make for cozy and in many cases unscrupulous relationships. But more important, the scorecard found, the kinds of businesses being greenlighted are at odds with consumers' understanding of organics. Organic milk is frequently produced on giant industrial dairy farms that manage 2,000 to 20,000 cows. The cows' access to legally required grazing pasture is logistically limited by frequent milkings and insufficient pasture. Similarly, many conventional egg producers have organic subsidiaries that operate on a vast scale, 190,000 laying hens housed in a huge building, their federally mandated access to outdoor space winkingly fulfilled by tiny screened porches (the Organic Trade Association has sued the government over its decision to withdraw the Organic Livestock and Poultry Practices rule in 2017, which would have outlawed these porches). People come to organics because of what the food doesn't contain, said Cornucopia's executive director Mark Kastel, and also because they think they are doing something good for society, animal welfare, soil health and economic justice for the small family farmer. "That's why they're willing to pay more for the milk. When people see the photos of these farms - these cows live short, stressed lives just like conventional dairies. They might be milked for a year and a half before they are turned into hamburger. And these big farms are undercutting smaller farmers on price." Cornucopia does not condemn all certifiers that work with giant farms and food companies. They laud the Organic Crop Improvement Association, which works with large companies such as Eden Foods - but the scorecard does prompt questions about whether, in the institute's opinion, big is always bad. California Certified Organic Farmers, based in Santa Cruz, is a certifier noted as demonstrating documented unethical behavior. According to chief executive Kelly Damewood, CCOF certifies 4,000 producers, processors retailers and other organic businesses, ranging from a quarter acre to hundreds of acres, but because it has a large presence on the West Coast, operations tend to be larger. Why does she think her company made the list of bad actors on Cornucopia's scorecard? "I can only presume that this organization's rating of us is [because of] our certification of hydroponic operations. We are a federally accredited certifier and cannot deny certification based on philosophy or values alone. This scorecard is showing that they have an issue with the National Organic Program's allowance of hydroponics, not with CCOF. We did advocate for a labeling of hydroponics, we've never allowed porches [for hens] and with livestock we have rigorous tools in place and we've developed unannounced inspections." Growing pains may be inevitable. Only a little more than 1 percent of American farm land is certified organic; the majority of organic produce and grain is imported. For domestic organics to grow, more people need to do it, or the ones doing it need to scale up. There are David-turns-into-Goliath successes: White Oak Pastures in Georgia grew from a small family farm into the largest USDA-certified organic farm in the state while maintaining high standards for animal husbandry and adopting an innovative zero-waste production system. But many of the original organic food companies are now owned and subsidized by huge conventional companies. Kellogg's owns Kashi, Danone owns Stonyfield, Purdue owns Niman Ranch, etc. "It's a constant fight on the national level to keep the spirit of organics alive, that the earth is as important as the people eating the food," said Pam Smith, a former board member of Florida Organic Growers who resigned in protest recently because of what she perceived to be a tenor change in the organization. "I started feeling like the director himself wanted to make more money. There's more money in the certification than in the farming itself, especially if you're no longer concerned about small family farms. It's way easier to certify the large ones." "Organic is the only federally set label that has legal meaning. It's not perfect, but I know what it is," said George Kimbrell, legal director of the Center for Food Safety. He suggested that "organic" may best be seen as a floor, and that socially just foods and climate-friendly foods are needed. Cornucopia aims to follow up with letters to every organic farmer and food business in the country, urging them to ask their certifiers for a moratorium on hydroponics and identified fraudulent dairies and egg operations. Kastel's hope is that consumers in turn will demand greater transparency in the certification system.